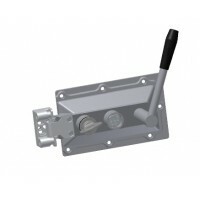 Castell EDIX-FSS-BRI-1 ( EDIXFSSBRI1 ) Dual Key Access Interlock. 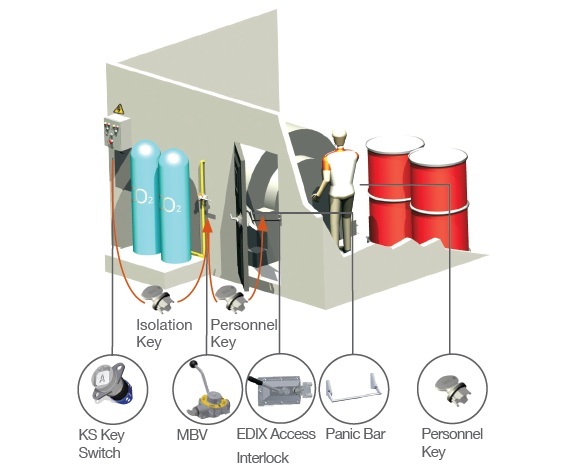 The Castell Safety Locks Trapped Key Interlock EDIX is used as a part of a safety system to guard personnel when working within an area protected by a CO2 extinguishing system. 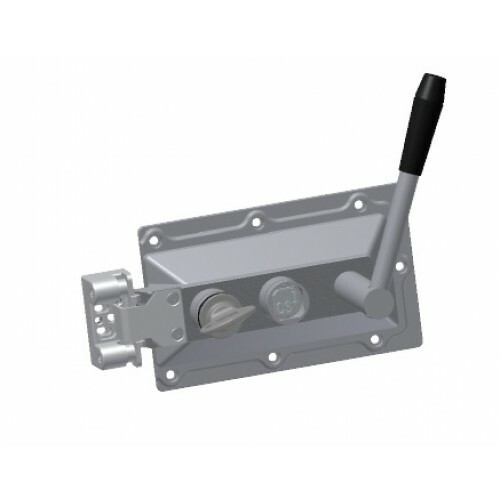 The safety system involves a Castell Safety Locks KS key switch for the electrical supply to the extinguishing system controlling its operation mode. The removal of the Castell key from the key switch changes the mode of the extinguishing system from automatic to manual. This Castell key is then inserted in the Castell MBV modular ball valve interlock fitted to the CO2 valve. 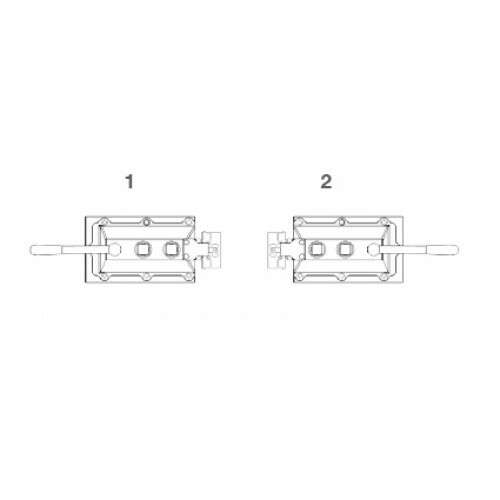 With the Castell key inserted, the valve is turned to the closed position, preventing the extinguishing system from being activated and allowing the removal of the secondary key from the MBV. This key is then inserted into the isolation lock on the Castell Trapped Key Interlock EDIX and the personnel key removed. The door can now be opened by operating the handle. The personnel key is taken into the area by the operative. This prevents the ability of others to re-energise the extinguishing system while maintenance is being performed. In case of an emergency the EDIX door lock can be overridden from the inside using the emergency exit crash bar.